Here is our beautiful boy, Baron, with his new brother and sister. As you can see, he fits right in with the gang. I can’t help but smile every time I look at this photo. 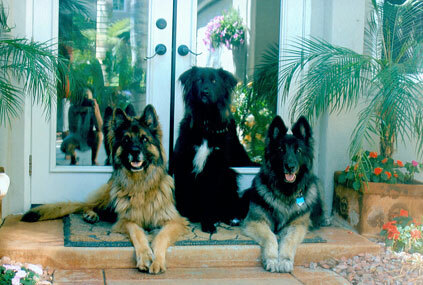 They are all such beautiful, happy and wonderful dogs. We love them so very much! The Joy and Love they gives us is endless. Thank you for allowing us to adopt these two amazing guys (Baron — 2011, Chloe – 2005). I hope this photo shows how happy and loved they are.